Chromatography is defined as a separation technique of a mixture, which is based on the interactions of the components with two phases i.e. mobile and stationary phase, as the mixture is allowed to run through a supporting medium. Mobile phase: Mobile phase is the solvent which is made to run through the supporting medium. Stationary Phase: This is a coating or layer on the supporting medium which remains stationary and allowed to interact with the components of the mixture. Supporting medium: It is the solid surface on which stationary phase is bonded. Most common basis of the classification of the chromatography is based on the type of mobile phase. 1 1. 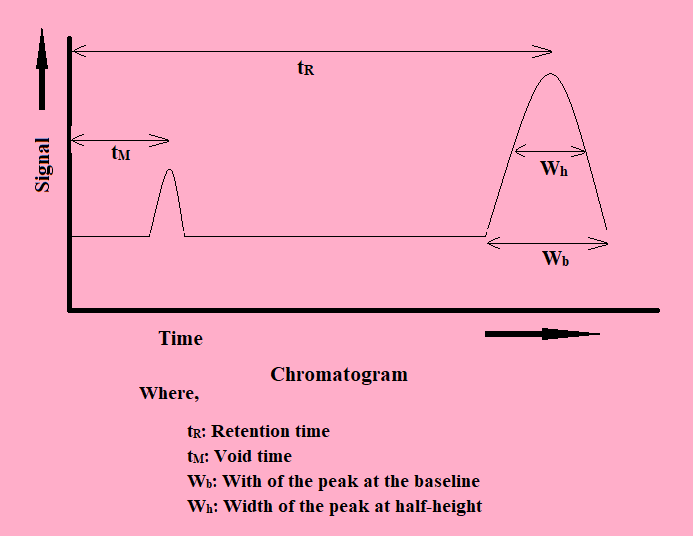 Chromatogram: Chromatogram is the graph between the volume of the analyte eluted versus the time taken for the elution. a. Solute retention: Solute retention or retention time/retention volume best describes the interaction of the solute with the stationary and the mobile phase. · In a particular system, the retention of solute depends upon the length of the column & the flow rate of the mobile phase. · Capacity factor (k’): Capacity factor is more acceptable variable for studying the solute retention as it is independent of the column length & flow rate. b. Efficiency of the chromatography technique: Efficiency is the term used to define how efficiently an chromatography technique can separate the mixture of compounds. · It is dependent on the width of the peak. · Narrow the peak more efficient will be the technique. a. Eddy’s diffusion: This occurs due to the different path traveled by the solute molecules column. b. 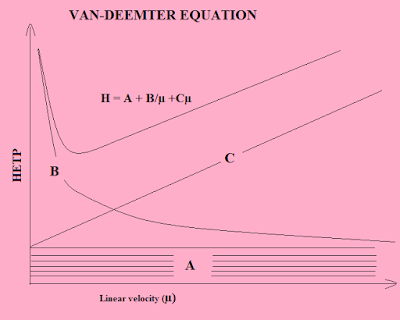 Mobile phase mass transfer: Mobile phase transfer causes for the broadening of peaks due to the different travel path of the mobile phase when travels through the support material of the column. · Size of the particles of material. · Diffusion rate of the solute. c. Stagnant mobile phase mass transfer: Sometimes a mobile phase get stagnated in the support column resulting in the difference in the retention time of the solute and ultimately the broadening of the peaks. d. Stationary phase mass transfer: This is attributed due to the different time spend by the solute molecule is stationary phase and the stagnant mobile phase resulting in the broadening of the peak. e. Longitudinal diffusion: Broadening of the peak is also attributed due to the diffusion of the solute molecules while travelling through the column. 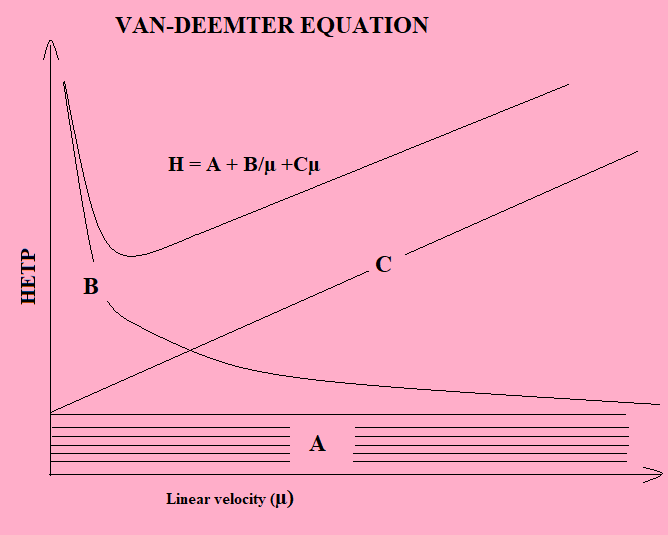 It relates the linear velocity/flow rate to the Height equivalent of the theoretical plates (H). a. Separation factor (α) : It represents that how well two solutes are separated by any chromatographic technique. For a good separation, α should be greater than 1.